If there’s one thing every child wants, it’s room to play in the sunshine. Some of my best childhood memories were made in the backyard, playing on our swing set and hanging out in the cubby. TP Toys have been designing children’s play equipment for more than fifty years, so they know their stuff. The British company sells a range of outdoor and indoor activity toys focused on keeping kids happy and healthy. 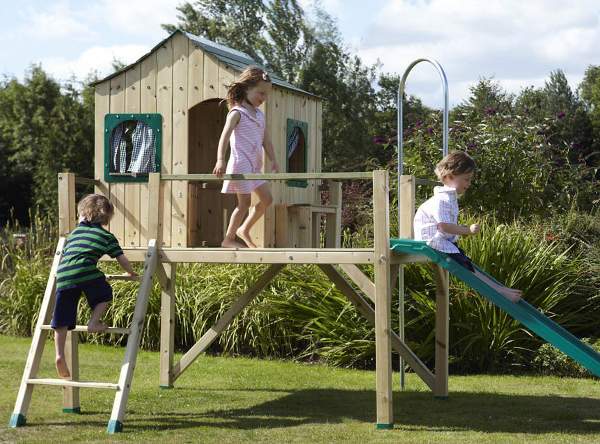 A range of TP play equipment can be found at Minimee, including the popular TP cubbies. 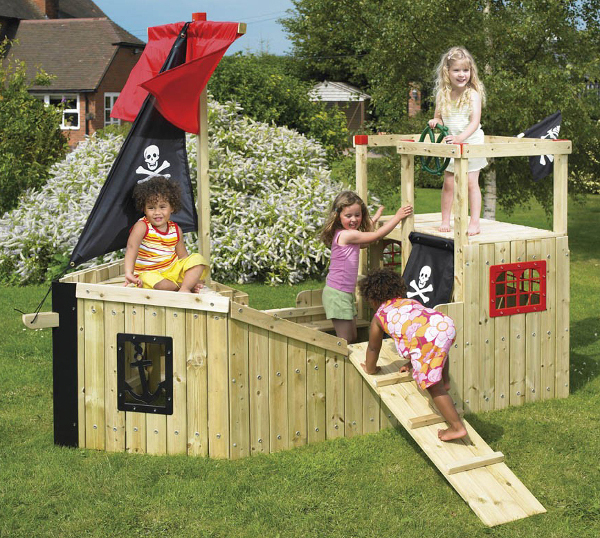 My favourite has to be the spectacular TP Forest Pirate Galleon, which is suitable for kids aged three to ten and priced at $829.99. It features a captain’s cabin, gangplank, steering wheel and two sails, one red and one pirate-themed. Plus the secret lookout has anchor-designed windows. All the perfect touches to sail the seven seas! The TP Forest Villa is an elevated cubby accessed by a ladder. There’s a fun wavy slide and an in-house play area that has a blackboard, windows with curtains and shelves and a moveable wooden bench. Underneath provides a nice shady area ideal for a sandpit or kids table. It costs $999.99 and is suitable for kids three and older. With a smaller verandah, the TP Forest Lodge is the more affordable option at $819.99. It has a wavy slide, ladder with flat tread steps and safety rail and an in-house play space with windows and a fabric door. 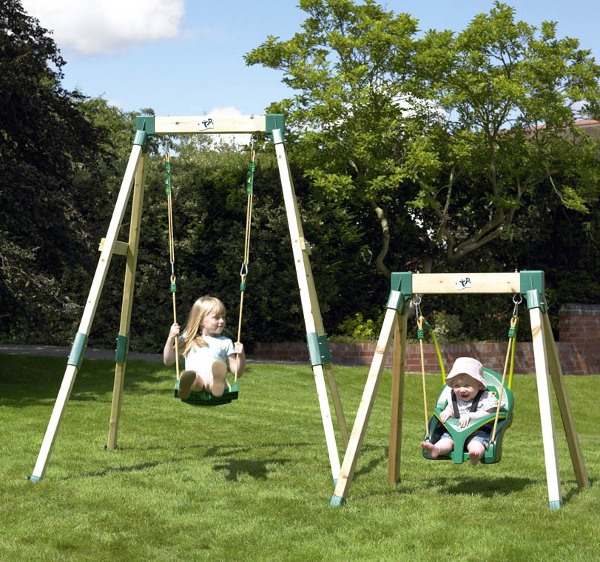 The TP Forest Growable Acorn Swing is a choice buy because it will see you through the years. Its height is adjustable and the QuadPod is four seats in one, so it’s suitable for children aged six months to eight years. It sells for $299.99. Minimee also stocks the TP Forest Seesaw at $209.99 and the TP Spirobouncer for $89.99. TP are an environmentally conscious company and uses Forest Stewardship Council and Rainforest Alliance Certified timber. FSC works to ensure the permanent existence of forest areas through responsible forest management and conservation. Minimee delivers within Australia, but all of the TP items except for the Spirobouncer are over the maximum weight limit for Australia Post delivery. Minimee can be emailed for cost-efficient courier solutions.